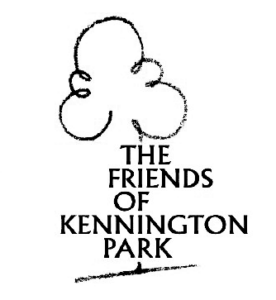 Written by William Lovett on behalf of the London Working Men’s Association and first published in early 1838, the People’s Charter begins by setting out the six demands that would come to define Chartism, including most notably the universal male franchise and the secret ballot. The full Charter, however, includes a longer address “to the radical reformers of Great Britain and Ireland” and the full text of a draft parliamentary Bill to turn the six points into law. Priced at 4d, the Charter was widely circulated in draft form and went through several versions. The edition shown here was published at some point in early 1839, before the first Chartist petition was presented to Parliament. 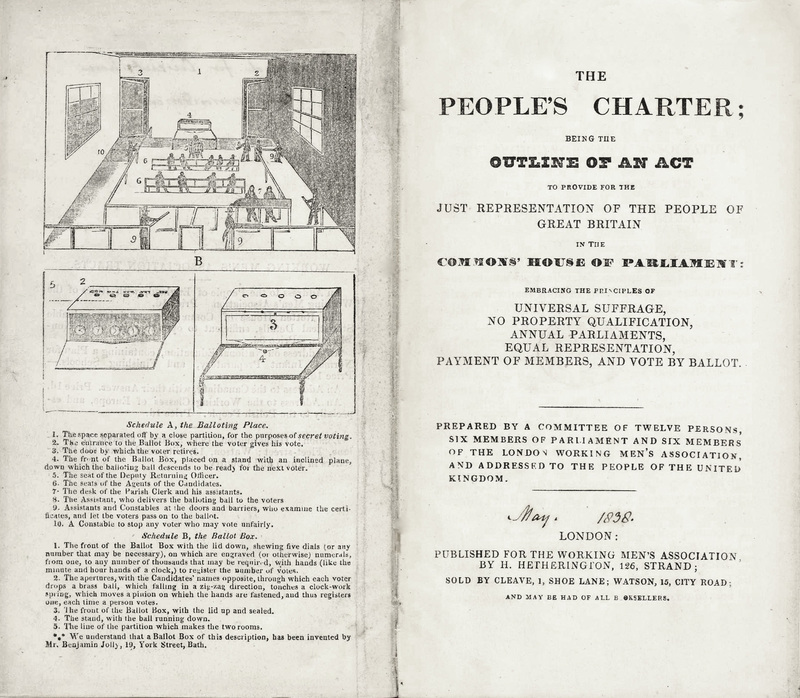 Although the Charter would evolve over the next 20 years, the six points – already at the core of radical demands for the previous half century – remained a touchstone of Chartist politics. Collection of Mark Crail. Image and text submitted by Mark Crail, editor, writer, and researcher on Chartism and 19th Century history. 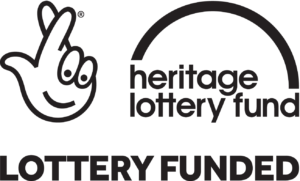 Author of Tracing Your Labour Movement Ancestors and creator of the Chartist Ancestors website.